A narrow 1-0 victory at home to Sassuolo made it four league victories in a row for the Rossoneri, with the result enough to lift them up to third place in the standings. We are just doing well defensively, but that's it and we seem a bit chaotic in possession. 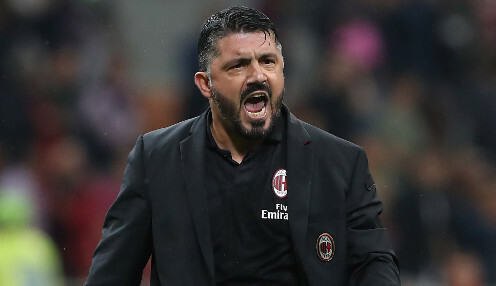 However, Gattuso was far from satisfied with the performance, while he also warned that there is much to do before he and his players can celebrate Champions League qualification. He told Sky Italia: "We are not going through a positive period of form for the last two weeks, but we are still in a strong position. "It's essential now that players, fans and media don't get ahead of themselves, because these performances are not good enough. We still have to play 12 cup finals. "We are just doing well defensively, but that's it and we seem a bit chaotic in possession." In total, Milan are unbeaten in their last nine Serie A outings, with their last reverse coming just before Christmas, when they lost out 1-0 at home to Fiorentina - with Federico Chiesa scoring the only goal of the game at the San Siro. The Rossoneri are now priced at 4/6 to finish in the top four this season, with Roma available at 10/3 and Inter Milan 1/20.